National BBQ Month is an unofficial holiday and an exciting way to kick off the start to summer! In this article we will take a look at some of the ways American’s celebrate during the warm summer months. 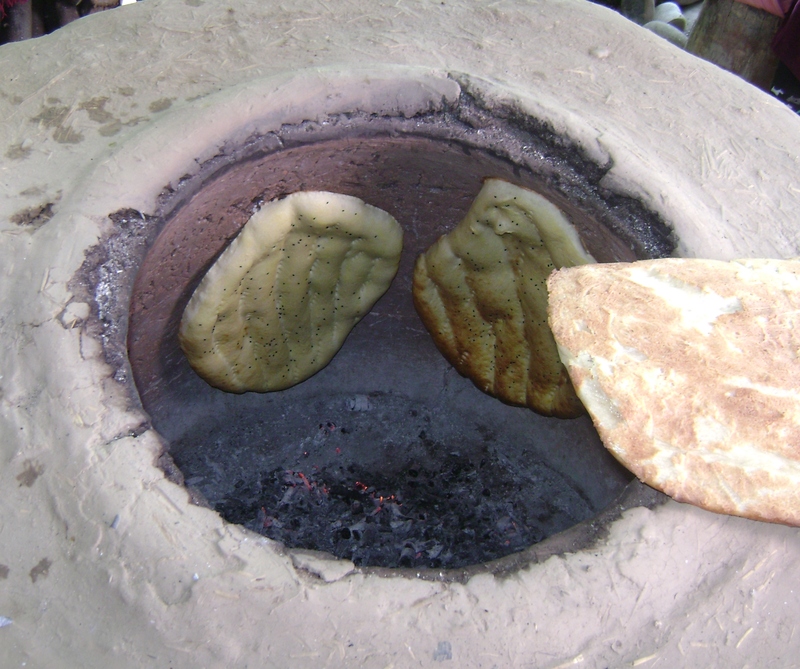 We will also look at some of the ways cultures from around the world use grills and the different foods they use to barbecue! Barbecuing in the United States is national past time during those hot summer months! In a 2013 study conducted by the Hearth, Patio & Barbecue Association (HPBA) showed that 80 percent of all U.S. households own a grill. Families in the United States, fire up their grills for all sorts of foods, but mostly for hot dogs, hamburgers, and chicken. In a recent info graphic by Kalamazoo Gourmet, they set out a list of 15 countries and their grilling habits. The huge variety in grilled foods around the world means that what we eat is all about where we live. Even grills in other countries look quite different from our charcoal or propane powered grills in the U.S.
Turkey is the birthplace of the shish kebob! In Turkish “shish” means “the skewer”. Typically, the shish kebob will have lamb, beef, poultry or fish. Unlike how kebobs are usually made in the United States, with vegetables placed between the meat on the same skewer. In Turkey the vegetables are grilled separately, normally not on the same skewer. 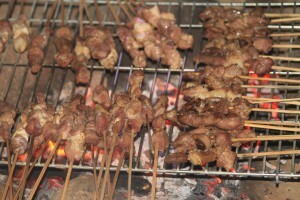 Grilling in Southeast Asia and Indonesia is very similar to grilling in the United States and Turkey. They use small portable charcoal grills to make a dish called “satay”. Satay is a dish of seasoned, skewered and grilled meat, served with a sauce. Much like the Turkish shish kebob and the Indonesian satay, the Japanese prepare their own type of skewered grilled meat called Yakitori. Traditional Japanese yakitori is skewered chicken that is typically seasoned with tare sauce (a sweetened, thickened soy sauce) and grilled on a tabletop grill called a hibachi. 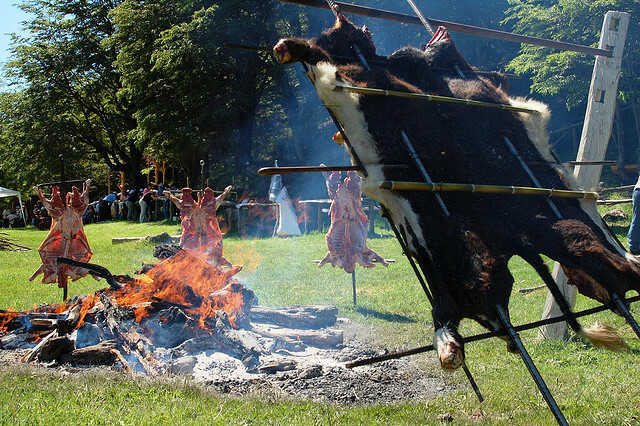 The way of grilling in South America is quite a bit different in style then the traditional barbecue. A fire is made on the ground or in a fire pit and surrounded by metal crosses (asadores) that hold the entire carcass of an animal splayed open to receive the heat from the fire. This way of grilling in South American countries is called Asado, the standard word for “barbecue”. What you may not know is that there are even more distinct — and delicious! — grilling styles all over the world! Check out the info graphic below from Kalamazoo Gourmet to see other types of grilling in other countries from around the world! Let us know which style is most intriguing to you! Catogories: E-News HTHT, It's National ________ Day!